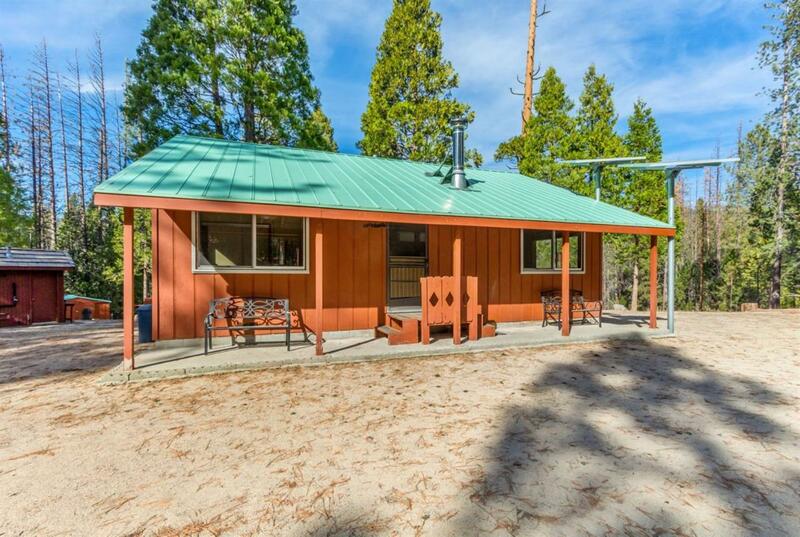 The perfect summer retreat cabin for anyone who loves the Sierra back country. 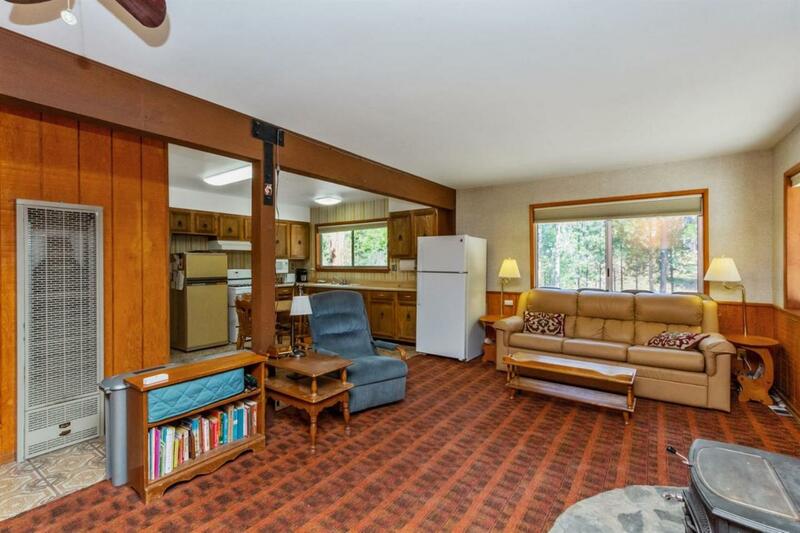 This fantastic vacation home has a metal roof and provides 2 bedrooms and 1 full bath inside. Amenities include outdoor metal rollup window blinds (fire and bear protection), dual pane windows, Hunter Douglas honeycomb black-out blinds, tankless water heater and owned solar with batteries and a generator. You will enjoy the conveniences that include community well, septic, telephone service (landline), level parking for up to 8 trailers with hookups for one. 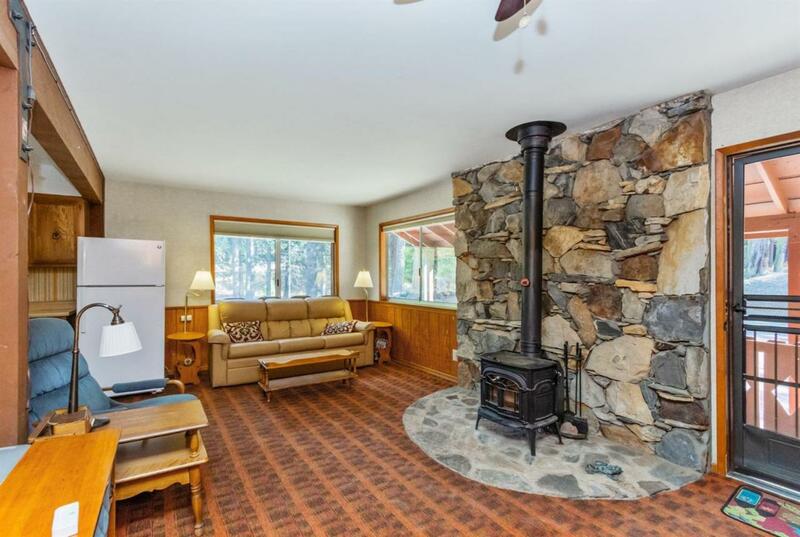 The comfortable living room offers a propane wall heater and wood stove open to the kitchen and dining area. The kitchen is ready to go with a gas stove and two refrigerators. Picnic area, fire pit, horseshoe pit and additional full bath are just below the deck. The other half of this 2 acre lot is a meadow that has water and is perfect for horses, corrals or view decks. 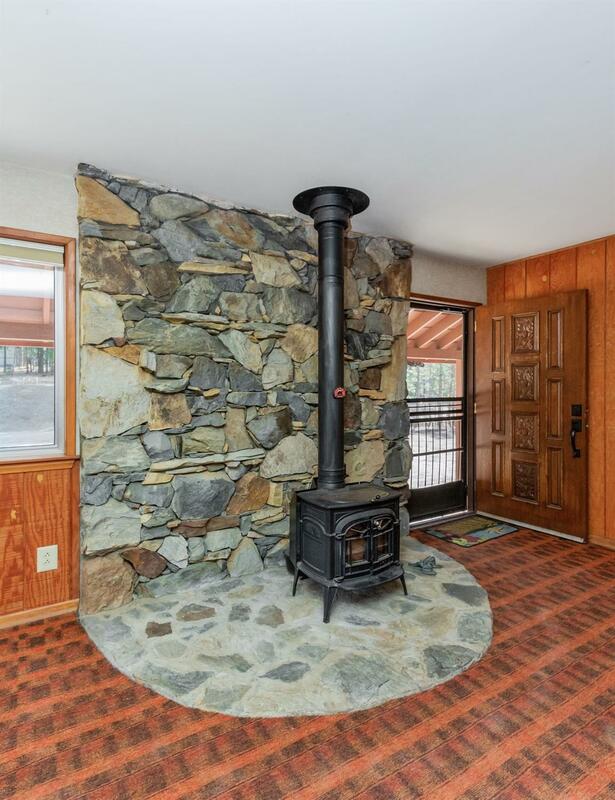 Check out High Sierra Meadows online for information on this great gated community.